Mikael Rantalainen is professional event and landscape photographer based in Helsinki, Finland. 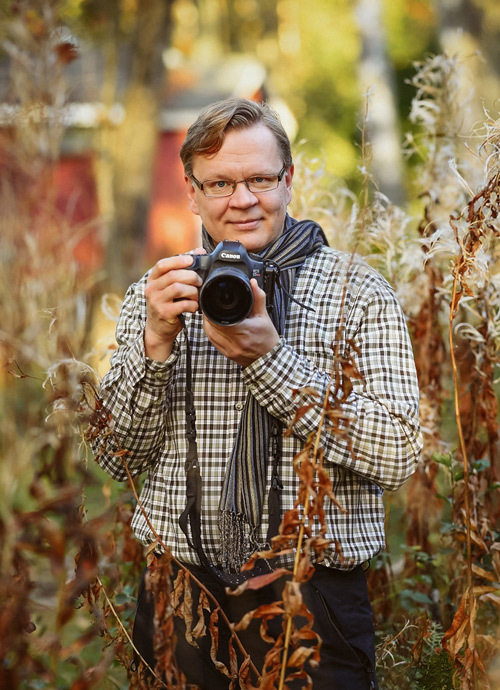 Mikael started photography as a hobby over 25 years ago. Landscape photography was his first interest, and continues to be his main passion. Later he got interested about event photography, now he photographs landscapes and events (e.g. dance and fashion shows) about equally. Common to both these photography areas is that Mikael tries to capture the right moment from the right location. Mikael was born in 1970 in Lahti. 1990 he moved to Helsinki, and currently he is living in Lauttasaari. He has studied communications, both as technical science in the technical university and as social science in the university. After working 15 years with the technology research, he decided to switch to photography. Mikael established a company to sell his pictures in 2005. Since 2012 Mikael has been full time photographer and teacher of landscape photography and post processing. During 2016 Mikael taught on 16 photography courses, and had about 200 students on those courses. Mikael is teaching landscape photography in Kameraseura and Helsingin Työväenopisto in Helsinki, in Estonia and in Kuusamo. He arranges also many landscape photography courses in Helsinki area himself. As almost all Mikael’s courses are in Finnish, more detailed descriptions of his courses can be found at his Finnish Maiseman Lumo website. Mikael offers also private tutoring and courses for individual persons or groups (e.g. to photography clubs or companies), and these can be arranged also in English. If you are interested, please ask for more information. Mikael won the Landscape category in Finnish Nature Photo of the Year Competition 2016. 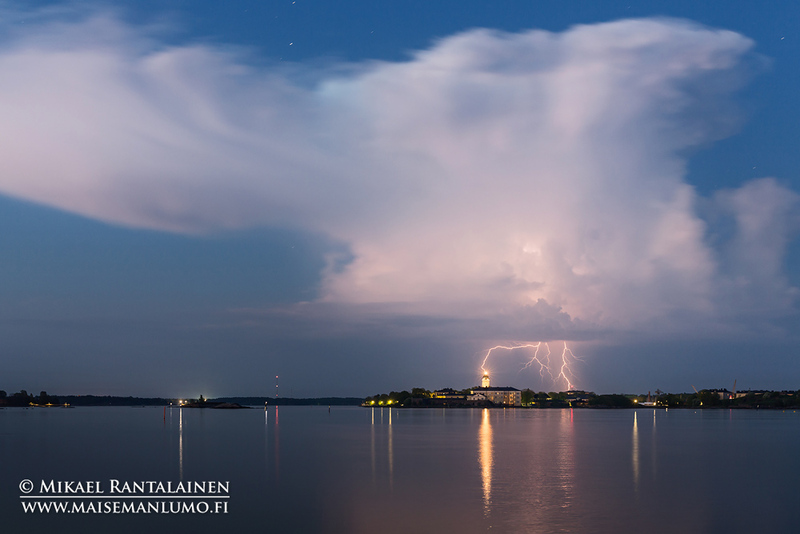 The winning photo was Lightning strike above Suomenlinna, photographed from Kaivopuisto, Helsinki. If you see something that you like at these pages and would like to buy a print, please contact Mikael (there is also more detailed description of print options at Maisemanlumo.fi website). Also if you would like to hire him to photograph your event (e.g. corporate event, fashion show, or performance,…) please ask for quote. Mikael adds a new photo almost daily to his Facebook page, so if you want to see his latest photos, please like: Mikael Rantalainen Photography. You can follow him also in Instagram: @finnishviews.